Dream analysis has always been paramount in psychoanalysis. Groups have, viewed historically, informed us how humankind has evolved to ratify a civilized world. Man has unconsciously dreamt about the eternal quest to create an ideal world to live in. Reciprocally, in that same world he resides in and must adapt to--through groups of which he may belong--he has consciously depicted, through artistic dream imagery, how he wished reality could be transformed into a utopia. I will detail how the "madness" of '60's pop/rock music, reflecting corresponding social and political values, through words and tunes, played a role here; where the goals and nature of contemporary groups or "tribes," and their dreams of paradise--living by the pleasure principle-- coalesced. I will illustrate all this by analyzing two dulcet pop/rock songs--"Renaissance Fair" and "Tribal Gathering" by the Byrds. 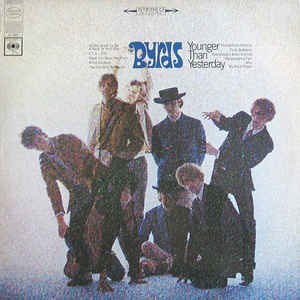 The main architect behind these tunes was Byrds' rhythm guitarist, vocalist and later activist (today supporting the "Occupy movement"), David Crosby. For the most part, it was his personality and dexterity which is reflected in the derring-do of the compositions I will be examining. 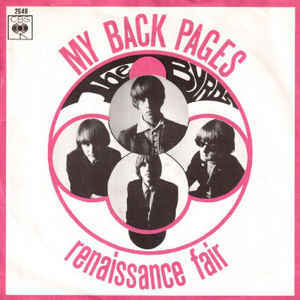 Foremost Byrds historian, Johnny Rogan, in his recently released tome, Byrds Requiem For The Timeless Volume One, says of Crosby, "Everyone attests to his extraordinary ego as if that was the whole story...they...fail to acknowledge...the enormous leaps he was making as a singer-songwriter and musician...a standard-bearer for the young, hippie generation....capable of great love, enthusiasm, support and generosity of spirit – far more than...his fellow Byrds....his acerbity...partially born of a deep sensitivity and vulnerability....in a new, free musical community...." (2011, p. 341). It was common knowledge then, that David had a narcissistic personality 2 (see Akhtar) that became a little bruised when he came into conflict, personally and professionally, with other members of the Byrds. Nevertheless, his musical/political megalomanias proved serendipitous at a crucial place and time--California, in the mid to late 1960's. 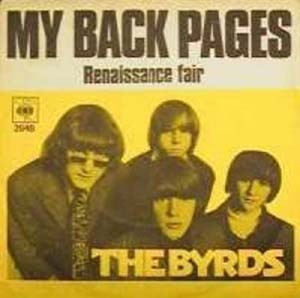 "Renaissance Fair" is a psychedelic/folk-rock song penned by David Crosby & Roger McGuinn and recorded December 6, 1966, for the Byrds' 1967 Younger Than Yesterday album. Rogan says that "Renaissance Fair" was inspired by an actual mock renaissance fair, entitled Renaissance Pleasure Faire and May Market, staged at the Paramount Ranch, Agoura, near Los Angeles in the spring of 1966. It was attended by the Byrds and a throng of 8,000 who, accompanied by a little imagination, were whisked back to the Elizabethan era, when King Arthur was monarch and Robin Hood was the cause celebre of the day. Demonstrating their sundry skills at the Faire were adventurous alchemists, magicians of every stripe, craftsmen and weavers, while English plays abounded. Games included archery, darts, executing dragons and punishing witches. But this musical piece was about much more than that; it was an homage to, and yearning for, the sensuous hippie dream. The song's 12-string Rickenbacker electric guitar plucking, courtesy of McGuinn, is evocative of ringing church bells and Byrds' bassist Chris Hillman's ariose playing has a soft, undulating pattern, purveying a running jazz line. The opus moves along, image by image; the meter signatures varying, kept pace by Michael Clarke's dogged drumming. Let's examine the work more intensely, line by line, from each of its respective stanzas. The first/last lines of the premier stanza regarding dreaming have a double-entendre (later inspiring Eric Burdon's song about Monterey 3). The lead singer, Crosby, regales us in his episodic weal, but his words also have a quizzicality to them, as if to say, "You must be joking." Sigmund Freud, in his book The Interpretation of Dreams, declared that, regarding dreams, "...they are...fulfilments of wishes; they can be inserted into...waking mental acts...." (1899, p. 155). Not surprisingly, French Romantic composer Hector Berlioz once remarked that he would actually see the motif of a symphony written out in his dreams. However, J.A. Hadfield, from his work, Dreams and Nightmares, explains, "...a dream is not only a wish but the problem created by that wish...which the dream tries to solve" (1954, p. 28). This ‘‘dreamin'" is a wish expressing, not only what Crosby and the Byrds consciously wanted for mankind, But also what a myriad other rock bands and peace groups of the ‘60's, who touted the flower power ethic, also desired--yet found problematic, because of societal prohibition. The next line is about "Cinnamon and spices" and cinnamon has traditionally meant a protective love and the embellishing of spiritual vibrations (depending on what source one consults). In the Bible 4, it could be an integral part of a wondrous garden, and, therefore, as a metaphor for an exquisite woman (like "maids," found in the next stanza). "Spices," ah..., there are too many to consider and thus I would only remark that they reflect the favourable, generic smell of the goings-on at the time. Now, literally, or what actually occurred in a dream, such a redolence like cinnamon, if a symbol, as Erich Fromm informs in The Forgotten Language, is "...'something that stands for something else'" (1951, p. 12). Further, "It becomes more interesting...if...those symbols which are sensory expressions of seeing, hearing, smelling...standing for...'something else'...is an inner experience..." (p. 12). Voila, we then have, typified, a garden of new godly love, inhabited by nymphs, alluring us with their "come to me" perfume; so poignant, it awakens something inexplicable inside of us. Yes, the olfactory, acoustic and visual facets of the dream are recounted, but note that, upon listening to "Renaissance Fair," the sensations must have felt very real at the festival described, where also the sound of "music everywhere" was, in fact, the playing of lutes and other ancient instruments. As well, Freud tells us that "...dreams hallucinate...they replace thoughts by hallucinations" (1899, p. 82). He says it doesn't matter if what is presented is auditory or visual. Curiously, Freud elaborates, "...if one falls asleep with the memory of a series of musical notes in one's mind, the memory becomes transformed into an hallucination of the same melody...." (p. 82). So, does it matter if the main writer, Crosby, dreamt it first and then composed a score derived from his twilight experience, or, that he thought he was dreaming, while under the influence of, say, some psychodysleptic when he, while awake, penned the piece? Perhaps nobody actually knows. Hmm...did Cros' ever read psychoanalytic books? We shall try not to get ahead of ourselves here. Freud goes on to say that ideas become dramatized when they are transformed into these hallucinations whose images bring forth situations to be profoundly experienced. That's just what could be witnessed here in this song, as the pageantry of the festival is so floridly illustrated, i.e., "kaleidoscope of color"--the music encapsulating the drama that could also be dreamt. Freud also affirms, "Dreaming is a piece of infantile mental life that has been superseded" (p. 606). In essence, wishful impulses from the unconscious, for a time neglected but striving for expression. Rock stars have always been known for their child-like/infantile antics, obliterating the rules and challenging authority. In the second stanza, let it be known that dancers, around a May pole, were part of yet another activity to be espied at the celebratory festival. Nubile women or "maids," in "laughter," garnished their appearance with floral headgear befitting their gentle embrace of nature. Such "flowers" were also put out for purchase at the Faire. And flowers, as symbols, contain a sublime, even magical, significance. Remember folks, this was the sixties, when hippie anti-war protesters publicly deposited flowers in the barrels of rifles clutched by soldiers, sent out to halt their obstreperous conduct. Flowers appear in dreams of course and, depending on their context, can say various things. Nevertheless, a poetic phrase by Wilhelm Stekel, from his The Interpretation of Dreams--regarding the past, present and future facets of interpretation techniques, while using individual dreams as a reference--compels me to reiterate his words I think are most applicable here: "Flowers fade, but they live for a time. The life of cut flowers is brief. Love may be a blooming flower for a short span, but soon...withers" (1943, p. 432). That could just as easily depict the ephemeral hopes and dreams of the 1960's, with the "flags" reference the whole spectacle of the Faire exudes a welcoming and tolerant, multicultural aura. The final stanza, above, could highlight what else the Renaissance Faire market sold: stained glass, kitchenware, jewellery, amulets, period garb and Florentine candlesticks. First, "soda" and "shiny" varieties of "prism(s)"; if one temptingly glances at a simple dream dictionary type of book (which Ann Faraday 5 and Calvin S. Hall 6 admonish us about), like Valerie Moolman's The Meaning of Your Dreams, it is explained that a person who dreams of mirrors (similar to prisms), "...is looking at his alter ego...embodying his repressed desires...that frighten or displease him" (1969, p.104). It makes me muse what David was pondering. What he found displeasure in became, just because it was taboo, a pleasure. I believe he was, as well, momentarily hypnotized by the prisms--"Sun's splash" and "Eyes catch"--through what the Faire was featuring. Further, regarding jewellery on girls, Moolman believes they "...symbolize...things of great value--or...love" (p. 102). Moolman thought that the offering of "dime- store" jewellery presented an ersatz love. It appears as if these were the kind of trinkets--"Bright jewels...flashing"--sold at this arcade type of fair. Could it mean in this situation that, if one is only dreaming, a universal love of mankind was but a psychedelic boondoggle? More specifically, a diamond, she elaborates, is "...a precious jewel, as is love...worth money, which...symbolizes love; and...is...associated with engagement rings and marriage...." (p. 96). Well, Renaissance Faire was indeed the proposed marriage of love to the masses. Sustenance, or "fruit," and ale was readily available at Renaissance Faire, too, behind the kiosks, where the "vendors" summoned intrigued buyers. The "candles...to burn," in this context, would not be phallic; after all, sometimes a candle is just a candle. Just prior to dusk, "Fires" spell the conclusion of the fair and the journey into the dream state-- if one is not already there yet. The refrain, "I think that maybe I'm dreamin'," ends the opus, repeated twice more, for emphasis. "Tribal Gathering," the other track by the Byrds under review here, is a space-rock piece composed by David Crosby & Chris Hillman and recorded August 16, 1967 for inclusion on the Byrds' 1968 album, The Notorious Byrd Brothers. Rogan informs us that the song "...'Tribal Gathering'.... Like ‘Renaissance Fair'...evokes the atmosphere of a public event as though it were a dream-like experience" (p. 409). And Reuben Fine, in his volume, A History of Psychoanalysis, says "...almost all primitive groups use dreams in a magical manner...." (1979, p. 250). Also, Fine states, "...dreams are a universal human experience and...have pretty much the same meaning in other cultures that they have in ours...." (p. 467). 7 Makes sense, as Fine (re: Freud's Totem and Taboo) also states, "...that the dynamic picture derived from the study of Westerners was applicable to all cultures" (p. 466). These asseverations will help us comprehend at least the universal lyrical dynamics of the song, as we move along. Pursuing the zeitgeist of the counterculture--a new "Consciousness" (akin to what Charles A. Reich would soon document 8), Byrds' producer/manager Jim Dickson was involved in creating "'The Gathering Of The Tribes'" (the first one being "The Human Be-In" at Golden Gate Park, San Francisco, January, 1967). Elysian Park 9--the oldest and second largest park in Los Angeles, was selected for this March 26th Dawn of Hippie Love-In. The invitation announced that "...those attending are asked to please bring flowers, food, drums, bells, cymbals, incense, tambourines, love, colors, and their friends" (Rogan, p. 338). Booked were prominent rock ensembles. Crosby, who was one of 4,500 visiting the festival, was enthralled and right away penned a jazz oriented, insouciant and lyrically stimulating work in 5/4 time as a paean to the spectacle. "Tribal Gathering" highlights sound effects which swirl throughout and Christopher Hjort, in his So You Want To Be A Rock'n'Roll Star The Byrds Day-by-Day 1965-1973, speaks of Rich Mangelsdorff's review in the March 1-14, 1968 issue of Kaleidoscope (Milwaukee, Wisconsin), who "...detects correctly that ‘Tribal Gathering' is comparable to the vocal style of jazz singers Lambert-Hendricks-Ross and vocal group The Four Freshman" (2008, p. 158). Hjort also quotes Elysian Park Love-in co-organizer Peter Bergman's pronouncement in the March 27, 1967 Fresno Bee, "Christ is with us here, baby, so is Buddah" (p. 127). Further, "One of the reasons for this is to bring the hippies together. Los Angeles is too spread out; we don't get to meet each other. We want to give California back to the Indians. The Indians are much closer to the land" (p. 127). Bergman's words present the Be-In as a mystical adventure, wherein hippies would invite the rest of the populace--including Indians--to become one with them, embracing a more natural, tribal lifestyle, as found in communes. McGuinn's observation complements the previous comments, when he averred that the song "...was about the feeling that what we were witnessing was a strange gathering of tribes – the Hell's Angels, the hippies, the straight people and the police, all getting together for a musical event that made everybody feel wonderful" (Rogan, p. 409).